Who didn't think about being a fireman when they were a kid? 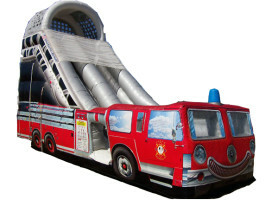 Sound the sirens and grab a hose on our large fire engine water slide. It will certainly help dampen things on a hot day!